Think about it and you'll know you're being pranked. Have you read a helpful notice that lets you know that Facebook will be closed for maintenance on February 29, 30, and 31? Did you believe if? FACEBOOK WILL BE CLOSED DOWN & NOT ACCESSIBLE ON FEB 29th, Feb 30th & Feb. 31st. SORRY !!!!! Facebook will be closed down for maintenance from February 29th to 31st!!. Many people will try to log in from February 29 to 31, just to find the site closed down for those days with no warning.... Tell your friends!! Attention !! Facebook sera fermé pour maintenance du 29 au 31 février. Faites passer à vos contacts pour qu'ils soient au courant!!! How Do We Know This Is a Prank? 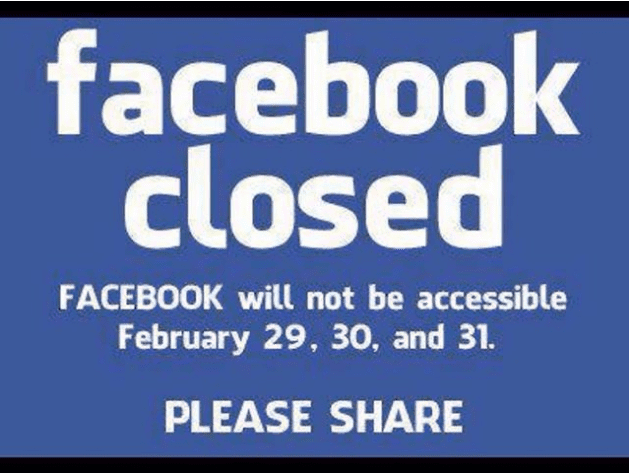 It's true that you can't access Facebook on February 29, 30, and 31 but not because it will be "closed." What's the real reason? Because with the exception of leap years the month of February only has 28 days. Think someone is pulling our legs? Seems likely! For some reason, pranksters think it's particularly funny to spread the fake news that Facebook will be shutting down. For example, a report published on the fake news site NationalReport.net claiming that Facebook will be "shut down for maintenance" for a full week from Jan. 1 to Jan. 8, 2015 was also a hoax. Hi, this is a message from the creator of Facebook and it tells you a little bit about what is going to happen to Facebook on the 15th of November. Please don't send this back to the person you received it from. Dear Facebook members, Facebook is supposed to be closing down November 15th because it is becoming very overpopulated.There have been many members complaining that Facebook is becoming very slow. Records show that there are many active Facebook members and also many new members. We will be sending this message around to see if members are active or not. 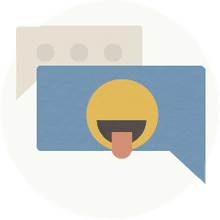 If you are active please send to 15 other users using copy paste to show that you are still active.